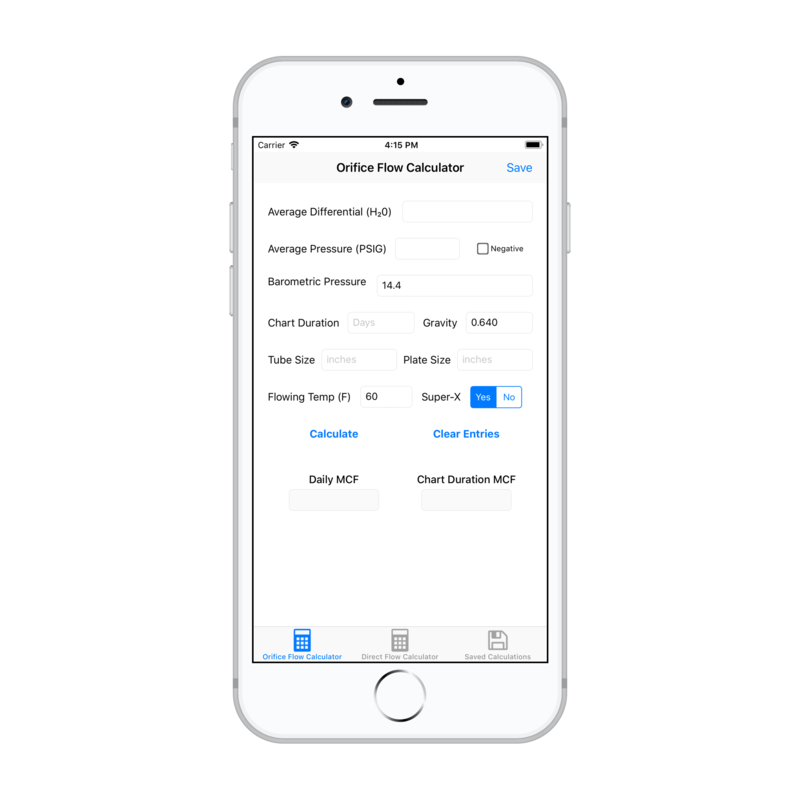 Orifice Flow Rate Calculator utilizes AGA 3 standard to calculate the MCF a single well is producing per day and for a given duration that you choose. Most other orifice calculators require multiple inputs that are not always know by the user. R L Laughlin has changed that. Our orifice calculator asks for 5 known values and direct calculator asks for 3 known values. We designed this calculator with the thought that users might not always have cell service or internet connectivity. Users can perform and save calculations without any connectivity. If calculations need to be shared to others, you can retrieve the saved calculations and share them via text, email or your choice, once the device has established connectivity. 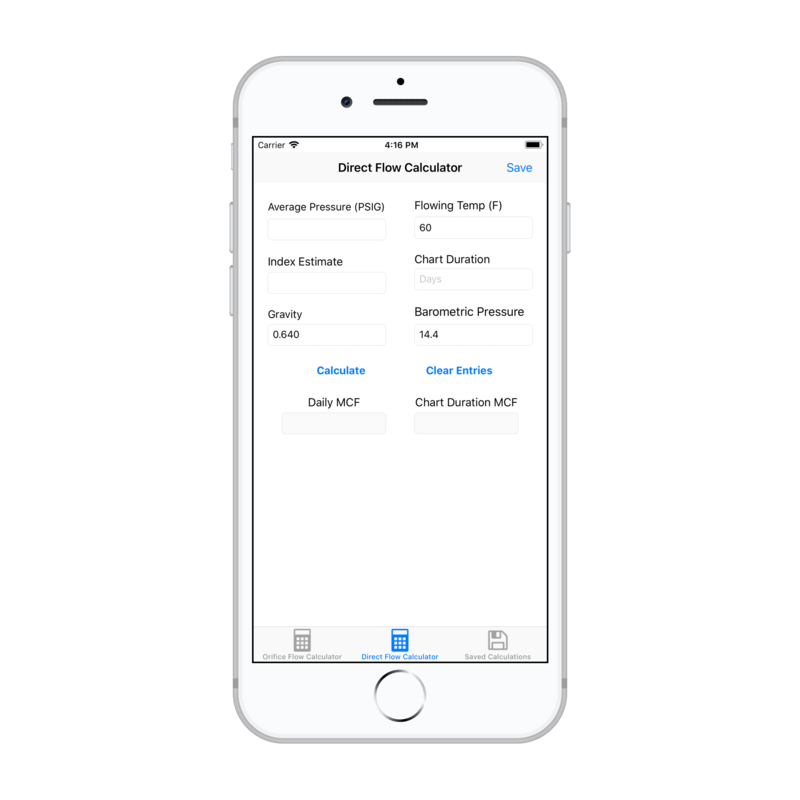 Whether you are in the field or in the office, this app is designed to make orifice flow rate calculations easy! R L Laughlin does not collect any personal data from Orifice Flow Rate Calculator. All saved entries into the calculator are stored on your device and managed by you. © R L Laughlin - leaders in natural gas measurement since 1970.